Tacloban City's downtown area is currently brimming with vendors and buyers. Trade and commerce continues to flourish and that most home-grown entrepreneurs of the city has returned home. It is no secret that Tacloban City houses almost all known food chain franchises in the likes of McDonald, Jollibee, KFC, Max's, Shakeys, Greenwich and a lot more, but there are quite a number of restaurants born and raised in the City of Tacloban. One can never go wrong with char-grilled meat for a gastronomic treat. With a relatively cheap price and strategically situated at the main thoroughfares of Tacloban City, Pindoko's BBQ should never be missed. Fresh chicken and pork meat are available for grilling, whether as viand or as beer chow. This unassuming restaurant has existed for quite a long time and truly a mark of Tacloban City's cuisine. No wonder my standards for the best barbeque in Metro Manila is relatively high as I always make a comparison of what it tastes and how it feels to dine in Pindoko. Giuseppe's Restaurant is a husband-wife tandem of Italian-American food connoisseur and business visionary Joseph Bonavitacola and Taclobanon Cathy Anover, who opened the restaurant in October 1992. Having inherited the Italian cooking tradition, the restaurant shares the same experience Joseph grew up on, from warm Italian hospitality, to authentic aromas in the kitchen and the flavorful, handmade recipes passed down from a number of his generations. An Italian dining ambiance is further provided by the restaurant by an al fresco dining-set up at the entrance. This is where my friends and I usually stay for a drinking spree with a view of the passers-by. Note that alcoholic beverages and beers are quite expensive, thus, we pay for the restaurant's ambiance in this case. Recently, with the various humanitarian groups of varied nationalities residing in the city, the restaurant has been the rendezvous and hang-out place for a chill drinking and dining as well with foreigners. Giuseppe's serves fresh and flavorful Italian dishes that you might even imagine you're in Italy and not in Tacloban City. But more than the variety of pastas and pizza that makes up an Italian cuisine, my favorite is still the Chicken Milanese with mushroom and marsala. What's more interesting? The serving staff can memorize the menu and explain to you its ingredients. Is it because they still lack copies of the menu when we dined-in months after the typhoon? or they are that well-trained? The Ocho Seafood and Grill has been serving Tacloban City since 2002 with a fusion of Filipino and Chinese cuisine. It has become the preferred place for the best seafood in town. With the likes of Dampa in Metro Manila, visitors in Ocho Grill get to choose the freshest ingredients in the counters and instruct the chef on how you want the dish prepared and cooked. And of course, shrimps would always be my favorite. The re-opening of this restaurant is not that simple. On my last visit to the restaurant during the city's fiesta, I had a chat with the owner of the restaurant and it was not easy to replace all the furniture and fixtures as the entire ground floor where the dining hall is situated was completely submerged in water during the super typhoon. But here they are now, ready to serve the Taclobanons and its visitors. Every resident of Tacloban City knows what to eat at Fahrenheit. A cheese burger and french fries may sound so ordinary to munch, but those produced by Fahrenheit has lingered on our taste buds for generations, that even if I am no longer in Tacloban City I still do crave for their burger and request friends to bring some to Manila. Reasonably priced at PhP45.00, to order cheese burgers for whatever quantity it may be consumed is a possibility. Hence, a must try for visitors to feed the curiosity on what makes Fahrenheit's cheese burgers special. If you happen to read my blog, you will know that I am not a coffee drinker. However, I am a loiterer of coffee shops. Home-made pastries, juice, tea and coffee complemented by a homey-vibe is what Jose Karlos known as JK, offers. As a former residential house, interiors are designed in such a way that patrons can treat the coffee house as their own home. There are couches, study tables, long dining tables available for every patron's preference. The lobby and interior design of the newest hotel in the City of Tacloban will give us a peek on what to expect when making a stay. Elegance and comfort is what it conveys. If one is not used to staycations and dining on hotel restaurants, there is the pre-conceived notion that the same is only for the aristocrats and social climbers (haha!). But Q Kitchen of XYZ is quite different, everyone is welcome, intimidation set aside. From one of the families of Tacloban serving the printing press industry, the shift to a restaurant and hotel is commendable. Together with my parents and other siblings, we were united in Tacloban City for a dinner at the said hotel, and the gastronomic experience unlike the name which is so limited, unlimited fun and huge serving awaits at Q.
Bulalo and crispy tenga are two my favorite dishes in Calle Z. I have seen the restaurant evolved and witnessed how it adapted to the dining preference of the Taclobanons and the public in general. The restaurant is situated near my elementary and highschool alma mater (The Leyte Normal University-Integrated Laboratory School) and I recalled a convenience store awaits us on that spot. And as time passes, it has become a place for hang-out with friends and for drunkards who aims to be sober at the wee hours of the morning. Truly, this is one of the best restaurants in the city that we ought to visit. With expansion plans in tow, the restaurant is already serving Cebu City as well, with the establishment of its newest branch. Craving for a feast of Filipino food on a dining table? Stephanie Smoke Haus is the answer. With a relatively low price for a buffet dining, surely visitors and Taclobanons would enjoy a sumptuous meal. Lechon is likewise served on the buffet table depending on availability. One if not the best designed restaurants in the City of Tacloban is the newly opened Chew Love. A product of love and passion transcends from the owners direct to its diners. Kim Yam Pao otherwise known as siopao is my favorite at Chew Love. But every dish is worth the try indeed - home-cooked, innovative and great service combined makes this newest restaurant the best place to dine and chill with friends and loved ones. My friends know how I love chicken - in all sorts of how it is prepared. 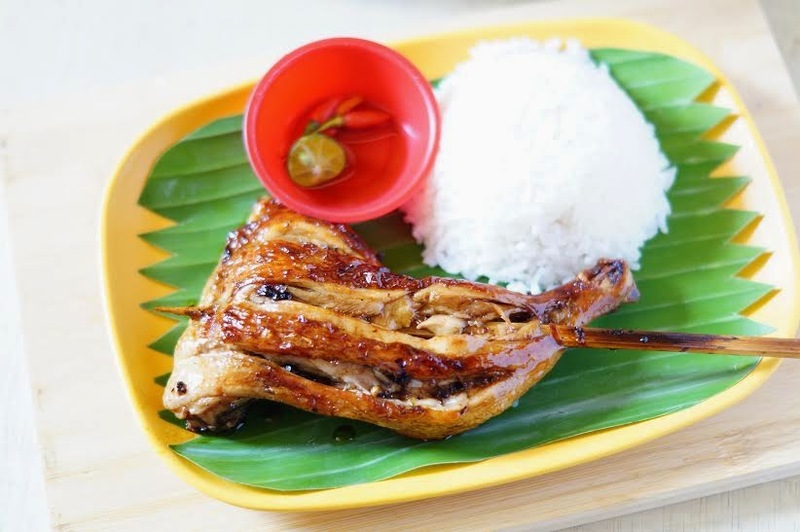 Fortunately, Tacloban City can now experience a whole-new dining experience for chicken lovers complemented by the well-preserved historical lineage of the family that owns the restaurant. 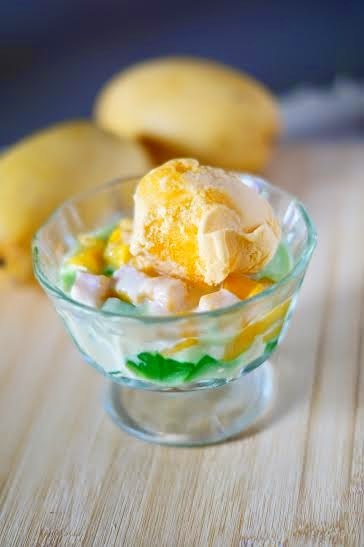 Among the restaurants specialties are: Chicken Inato and Pork Inato with unlimited rice, buko halo and mango pandan. A variety of Filipino favorites are likewise served in the likes of crispy pata, kare-kare, sinuglaw and sizzling pork sisig. A must try is the Milagrina Ribs and Crispy Dinuguan. Whoaa! I can't wait to be home again and taste all these! Jo's originated in Dumaguete City and branched out to different parts of the country, owned by members of the family. My friend and the lifestyle blogger, Apple Anido-Alagon of An Apple a Day owns the Eastern Visayas branches together with her husband. The Tacloban City branch is built in a lot area the family inherited from her grandparents and her dad in partnership with brothers Derrick and Jessuel. 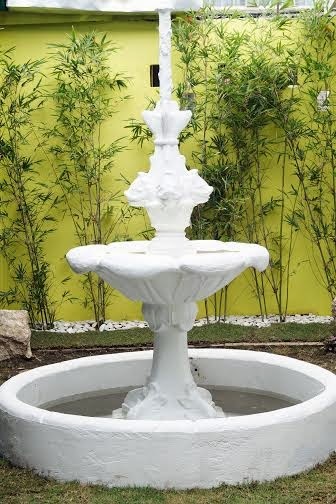 Anyone who grew up in the City of Tacloban may at some point created memories with the 84 year-old fountain built by Apple's great grandparents, Don Federico V. Larraga Sr. and Dona Tinay F. Larraga. But the good news is, the fountain lives on and is part of the architectural landscape of the said restaurant. The said restaurant just opened on the 4th of July. And dining experience deserves a separate blog post. Have you ever dined on any of the top restaurants of Tacloban City? How was it? 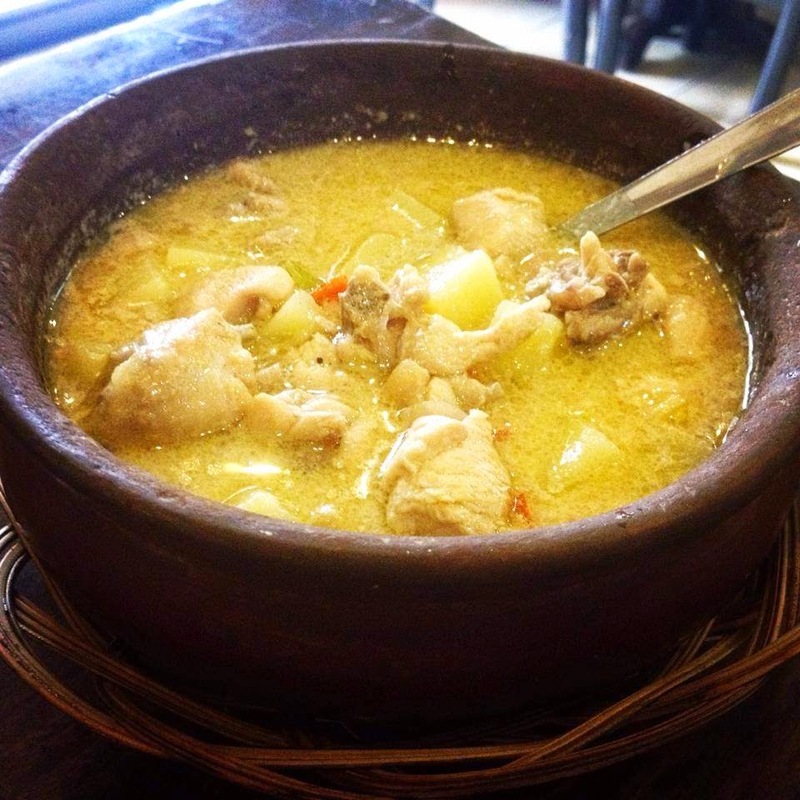 An adventurous soul would never be exhausted while roaming around the City of Tacloban, as the richness of its culinary masterpiece is situated in every nook and corner of the city. Why is Sunzibar not here? Sunkist is a must visit, too. Great ambiance, yummy foods, although seating is limited. Thanks..really awesome..this means we really TINDOG our beloved City of TACLOBAN..
SurpRice - cheap and yummy... what's not to like? Anyway, great read :) Makes me miss home so much more. You forgot Miyara Patisserie & Mex Em Up! Hi there to every one, since I am genuinepy keen of reading this web site's post to be udated regularly.